The Ahwaz Studies Centre has received reports that the Iranian regime is militarising education in Khuzestan by forcibly recruiting Ahwazi Arab students. Sources in the Ahwazi Arab opposition in Iran report that some 200,000 students were forcefully taken to the headquarters of the paramilitary Baseej's Ashura civil defence batallions near Ahwaz City. The students were divided up into three batallions and deployed to camps within Khuzestan for three days of military training and manoeuvres. The Ashura units' responsibilities include riot control and civil defence. 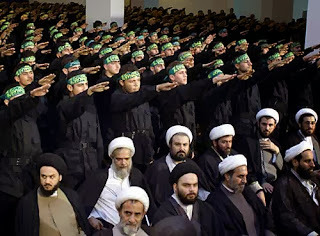 Major military manoeuvres and training by the Baseej, which is under the control of the Iranian Revolutionary Guard Corps (IRGC), also took place in Khuzestan in September to prepare for "internal unrest", according to reports in the Iranian press at the time. The Baseej's forces are loyal to the religious elite and prioritise the defence of the Islamic revolution. Baseej commander General Mohammad Hejazi has estimated the Baseej's strength at 11 million, although the actual figure is likely to be lower. Nasser Bani-Assad, spokesman for the British Ahwazi Friendship Society, said: "The forced conscription of Ahwazis could be an attempt to control, indoctrinate or intimidate the local Arab youth and instill loyalty to the religious elite. It also comes in the context of the regime's aim to raise Baseej membership to 20 million. Forced conscription is the only way the regime can achieve this target. Ahwazi Arab youths have been at the forefront of anti-government protests in Iran in recent months. "Forced conscription to the Ashura Brigades is indicative of the regime's mindset. President Ahmadinejad believes that the way to maintain social order and the regime's stability is through militarisation. But the Baseej is not a regular army, it is primarily a group of armed civilian religious fanatics intent on imposing the stability of the Islamic Republic through state terrorism. "This forced conscription into a group that was responsible for the violent intimidation of voters in the recent presidential elections cannot be compared with compulsory army conscription in other countries."